The EnergySmart Grocer Program enables grocery stores to dramatically reduce their operating costs through energy-efficient upgrades. Funded by Pacific Gas and Electric Company (PG&E), EnergySmart Grocer has been offering proven energy-saving solutions since 2002. We provide expert recommendations that lead to persistent, long-term energy savings, not just quick fixes. 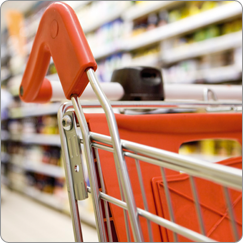 The main areas we focus on are refrigeration, lighting and HVAC improvements for grocery stores. Through rebates and incentives provided by EnergySmart Grocer and PG&E, participating businesses can make these energy-saving upgrades while having a high percentage of their upfront costs covered.